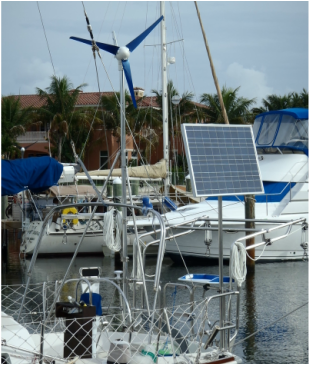 It is often desirable to combine wind and solar for power generation on a cruising sailboat. The V400 Wind Generator and external hybrid controller is ideal for an integrated wind/solar installation using our CMP 90 watt, CMP 140 watt or CMP 130 watt solar panel. 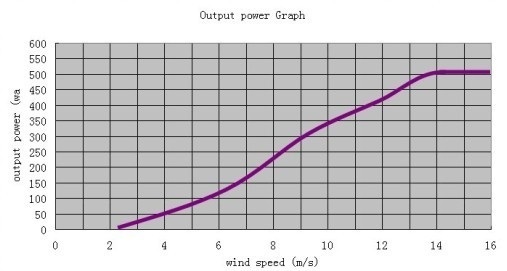 The V400 Wind Generator is a work horse. It has Magnalium Alloy construction which is extremely hard and anti-corrosive. The blades are Carbon Fiber and are balanced and rigid for minimal vibration. 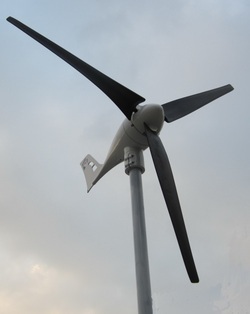 The hybrid controller manages both the V400 wind generator and the solar panel. Complete installation and technical manuals are available on our Manuals page. Contact us for design of a complete integrated wind and solar system.